Available in 500ml bottle conditioned beer in March 2019, currently available only in casks. An amber coloured malty bitter, but with a low Alc. of only 2.9%. This beer is a great addition to our gluten free range, roasted malty flavours with a kick of Columbus hops. 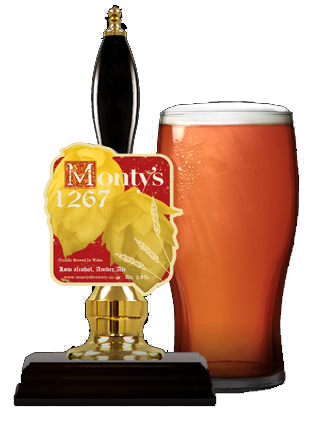 The beer was named after the year The Treaty of Montgomery was signed in honor of the brewery’s home town of Montgomery, Powys.